The Junior Pulse water bottle refill station from aquafil, is 1205mm high. It is a robust and vandal resistant compact unit that has been built to endure harsh public environments. It is ideal bottle refill station for schools delivering a quality filtered or non-filtered drinking water refill through anti bacterial dispensing nozzles to help keep everyone happy, healthy and hydrated. Students are often very busy and forget to drink or do not have adequate access to fresh drinking water so it is important to have a convenient and easily acessible source. The aquafil pulse water bottle refill station is a great way to ensure there is quicka and easy acess to drinking water. 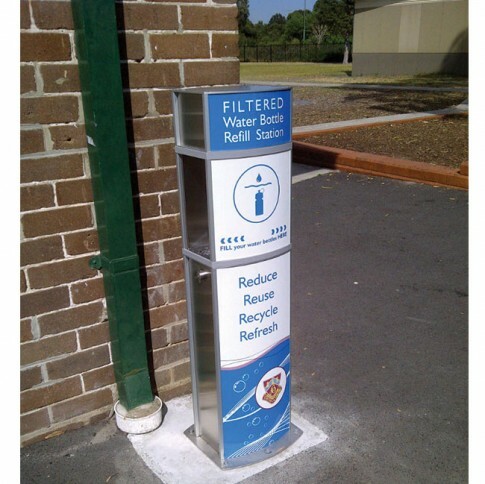 With multiple dispensers no one needs to miss out having their bottle refilled. Encouraging students to to drinking water regularly and is a great way to promote a sustainable and healthy lifestyle and aquafil water bottle refill stations are a dynamic educational tool in the fight to reduce plastic waste and conserve precious resources resulting in a cleaner, greener planet for future generations.